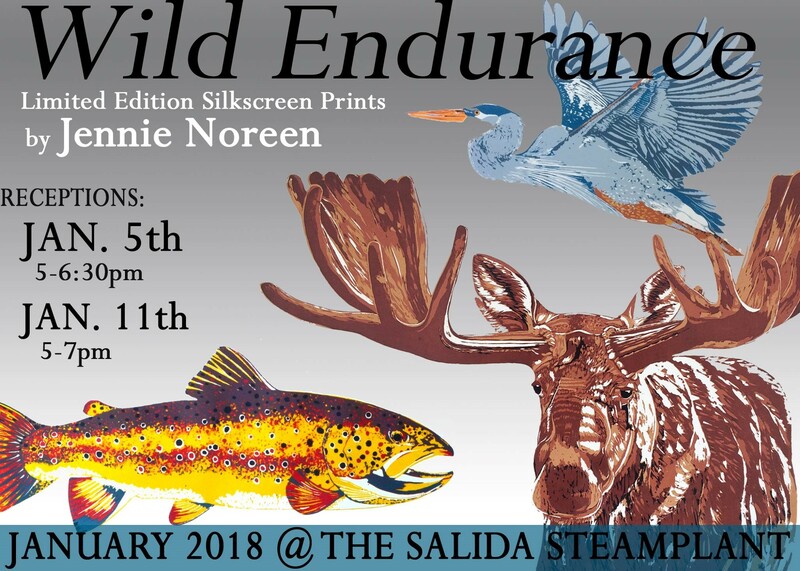 Featured Artist Jennie Noreen of Gunnison finds inspiration for her artwork from spending so much time on and around rivers, water, and in the wilderness. She has a particular infatuation with silk screen printing and strong interest in patterns found in nature. She developed a homemade screen printing setup and creates prints of her work. She enjoys the playfulness and texture of the ink, the bright colors and bold contrasts, the reusable materials, and pulling a fresh new color, lifting the screen, and seeing her prints come to life layer by layer. Featured Musician David Tipton plays the Chapman Stick and is well known in the region, having moved to Salida from Ohio in 2008. Beginning in his early teens David played guitar and bass with a wide variety of musical groups. He also spent many years performing as a solo finger-style guitarist. 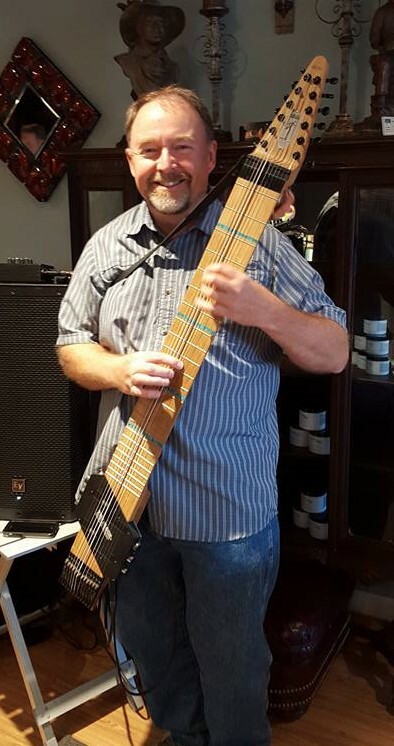 David believes the Chapman Stick gives him the best of both worlds. Held every second Thursday, the Creative Mixer is free and open to the public. It’s a casual, social gathering to share information about the local arts scene. The Mixer is a great way to find new friends and collaborators. Free hors’ de oeuvres, a cash bar, beautiful artwork, exciting entertainment, and great conversation are yours to enjoy!